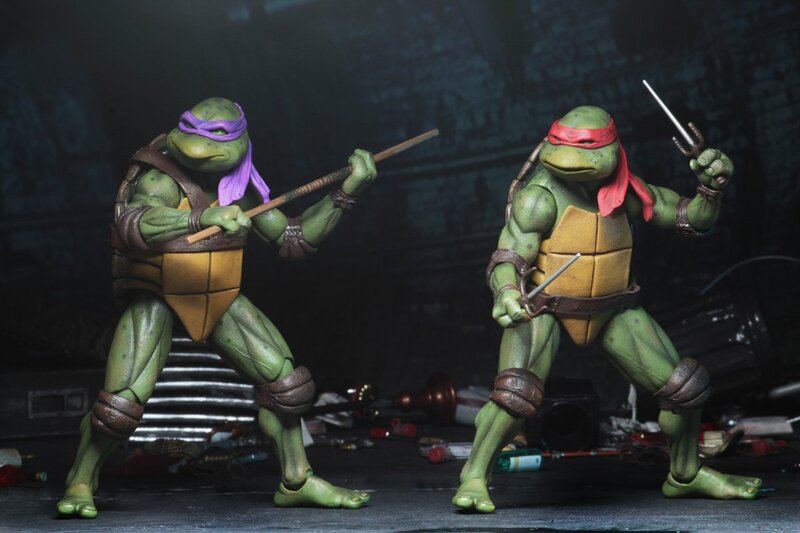 NECA Toys, one of the biggest players in the collectible action figure industry (especially during Comic-Con) has revealed many of the upcoming 2018 Exclusives for SDCC 2018. 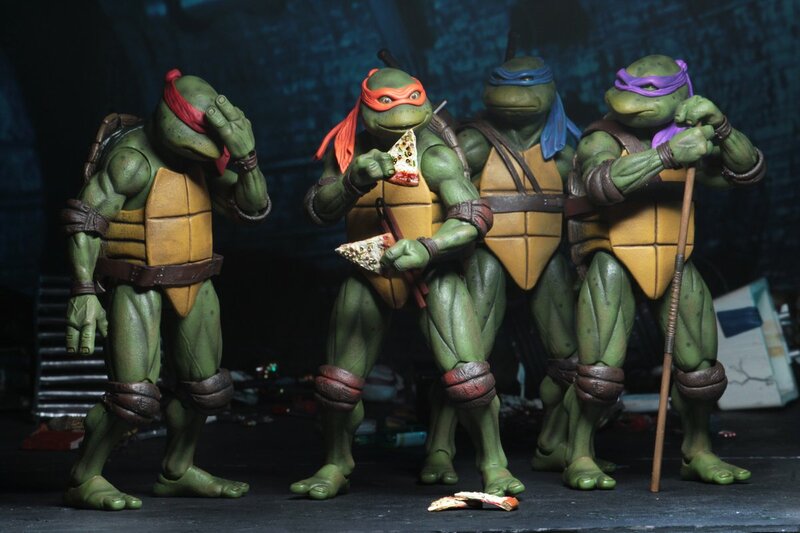 It’s unknown if more will be announced, but at this rate it’s safe to assume we’ll be spending time in line at the booth to pick up some of these goodies. 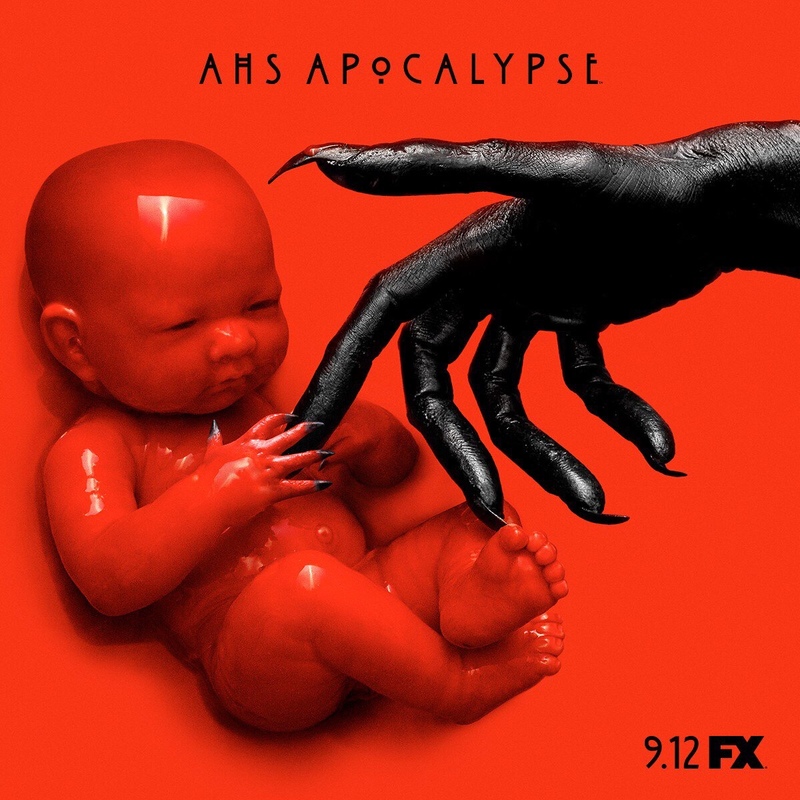 There’s something for everyone this year. 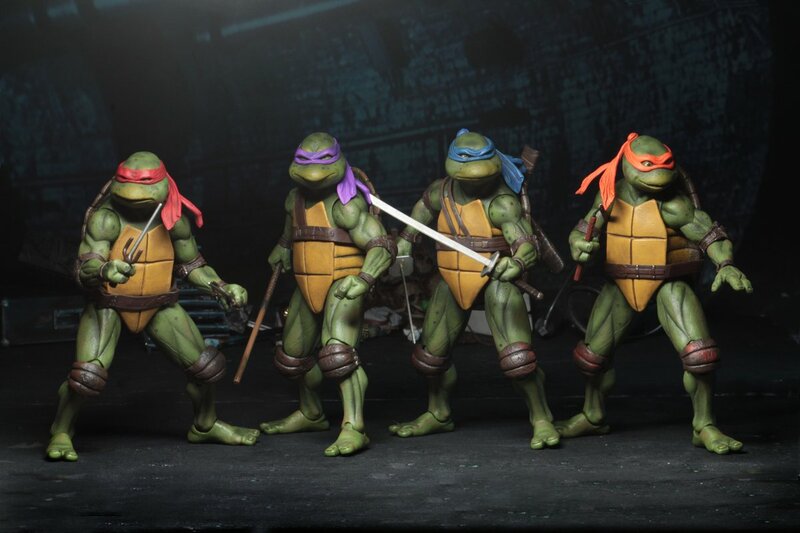 For comic-book and 90s nostalgia fans, NECA announced the long awaited arrival of 7″ scale Teenage Mutant Ninja Turtles based on character suits/designs from the popular live action film released in 1990. 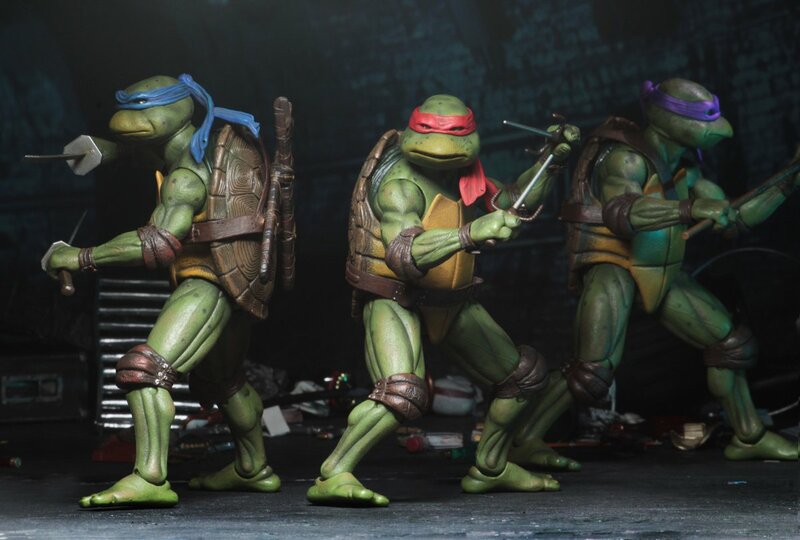 The ‘1990 Movie Figures Teenage Mutant Ninja Turtles Set’ will include all 4 turtles, either of their weapons, 4 slices of pizza, a broken ooze bottle. 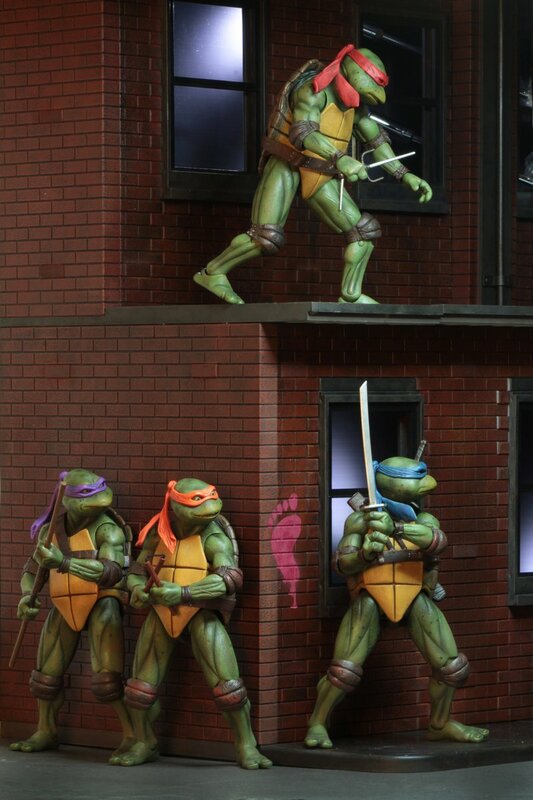 interchangeable hands and posable mask flaps to look like they’re blowing in the wind on top of the NY city skyline. 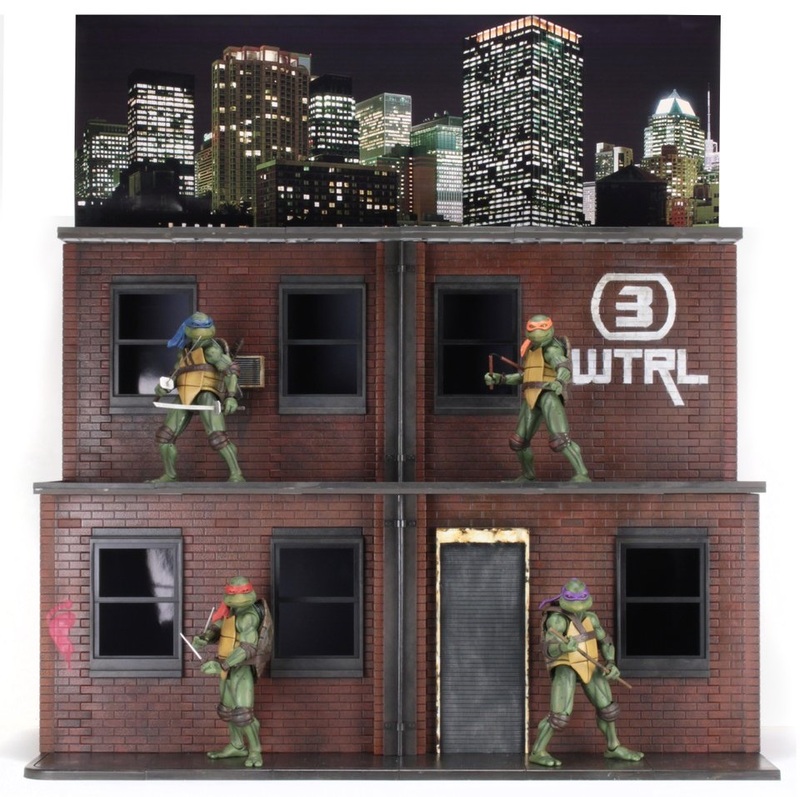 Speaking of the New York city skyline, an additional diorama will also be produced and sold alongside the set of turtles at Comic-Con featuring a facade of Channel 3, WTRL new station. 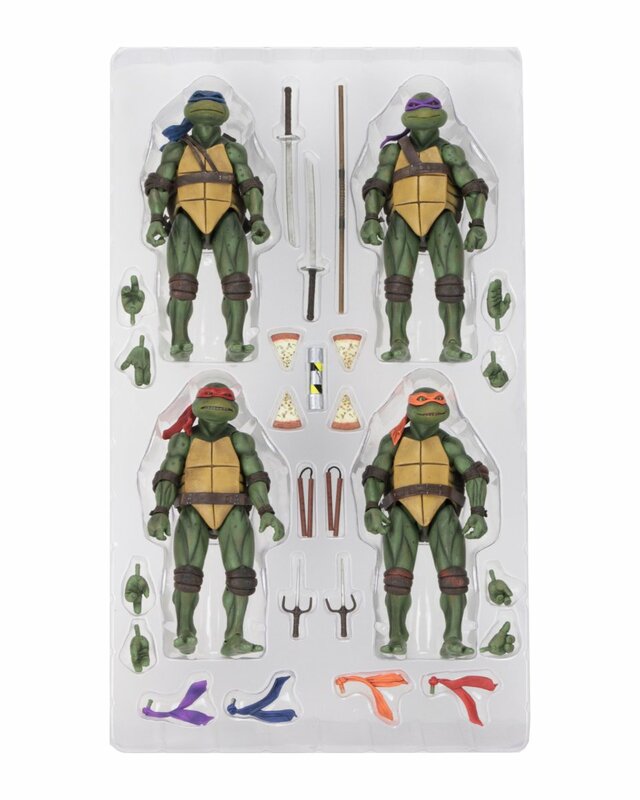 The packaging of the core turtle set is designed to look like a blown-up VHS tape with the artwork recreated for this set. 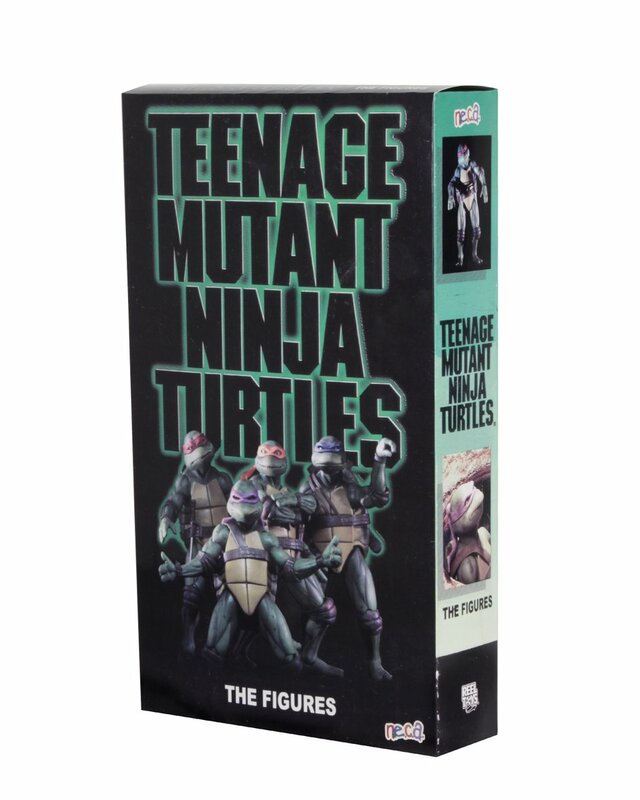 The Box Set by itself will run $125, the Box Set AND the Diorama will cost $250. 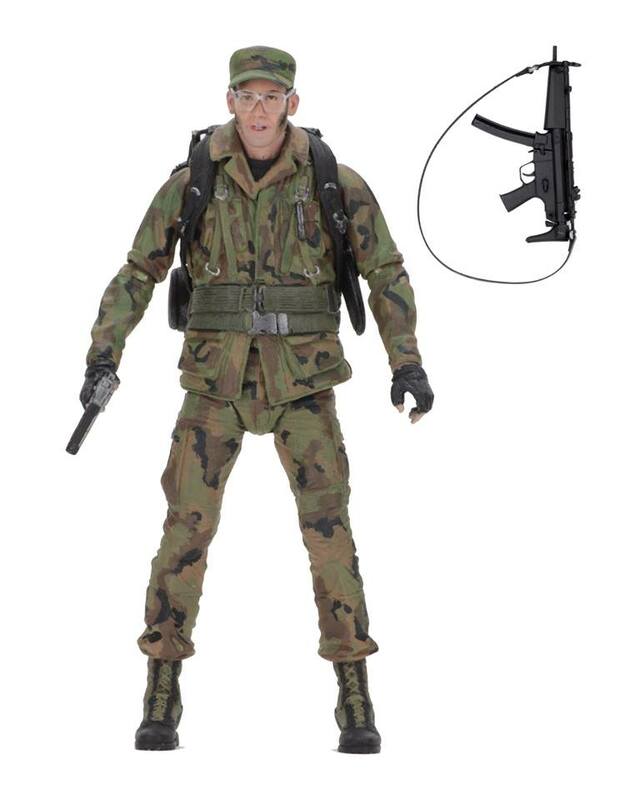 For horror fans, NECA will be offering two action figures that fill the genre. 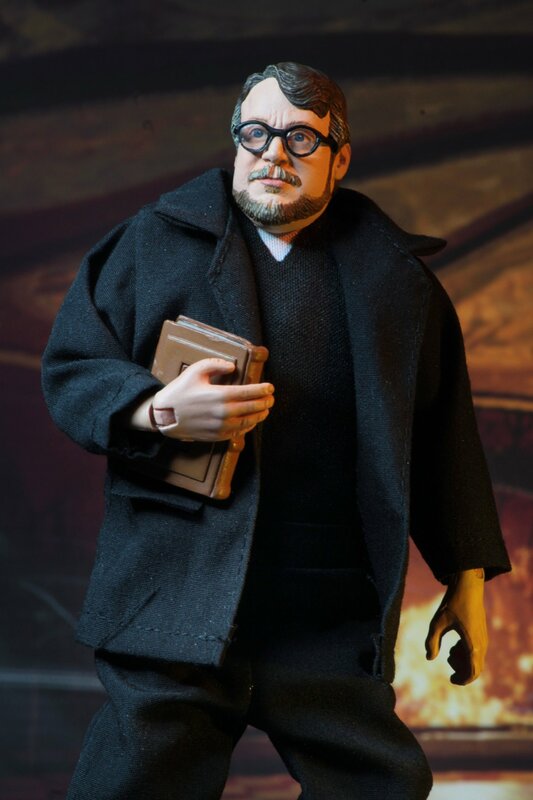 First an action figure representation of horror master and director Guillermo Del Toro. 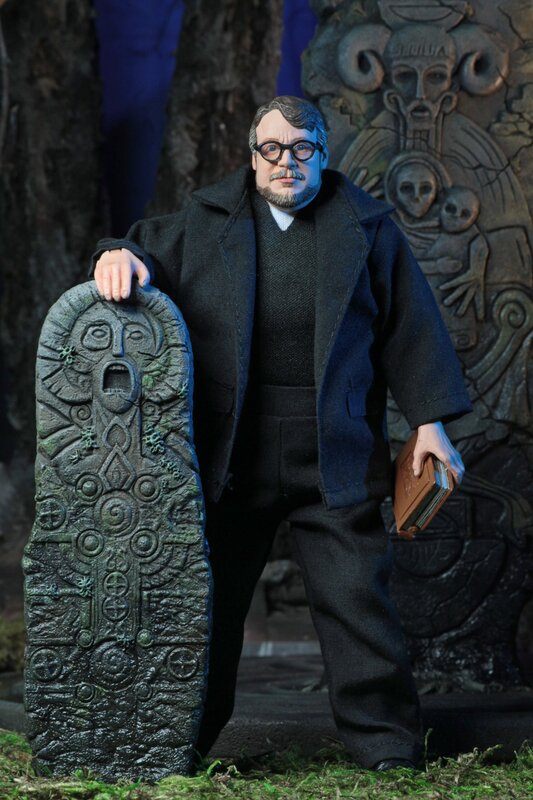 The 8″ action figure will be limited to 2,000 pieces and include a small replica of the director’s notebook which he conceptualized many of the creatures for Pan’s Labyrinth. 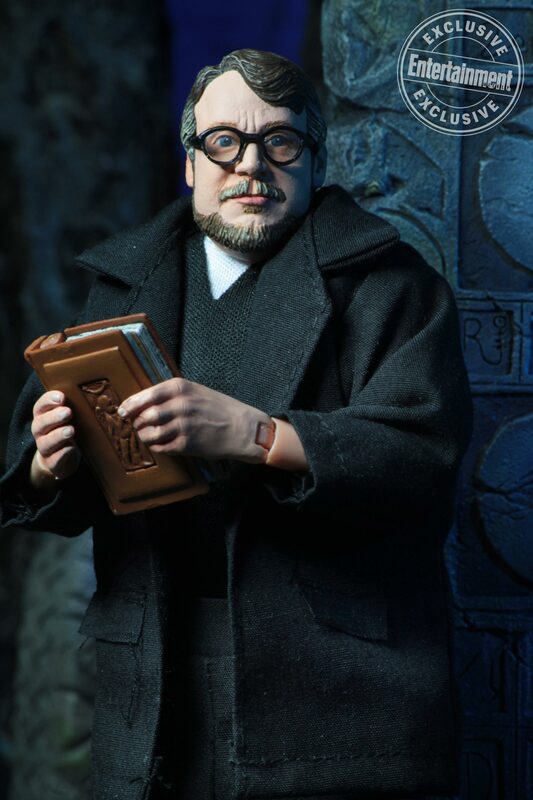 The Del Toro figure will run you $40 at SDCC. 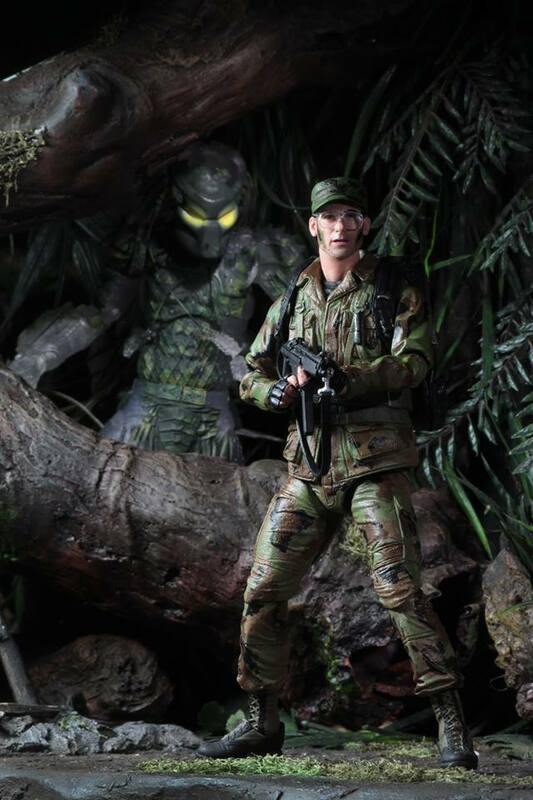 The 2nd horror offering comes from the Predator series in wake of the 30th Anniversary of the first film. 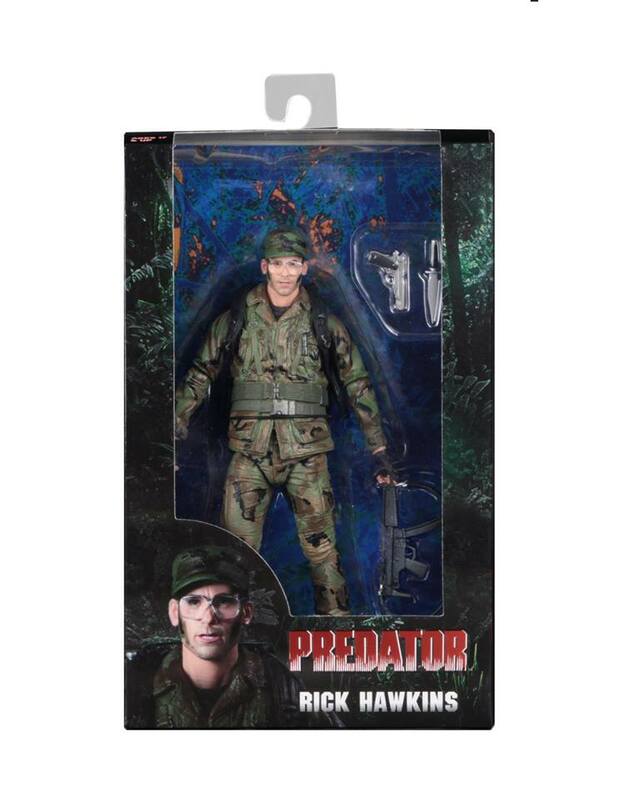 This exclusive will be a 7″ representation of Rick Hawkins. 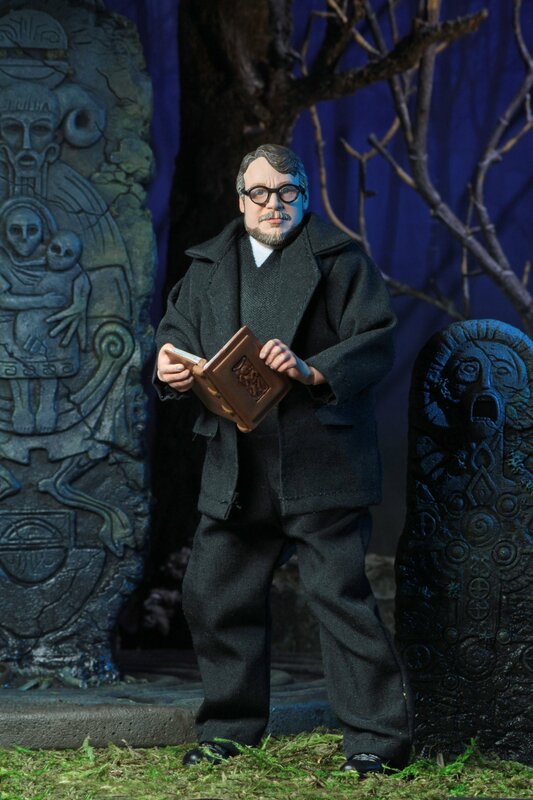 The full accessorized and articulated figure will be limited to 3,000 pieces and run $30 at SDCC. 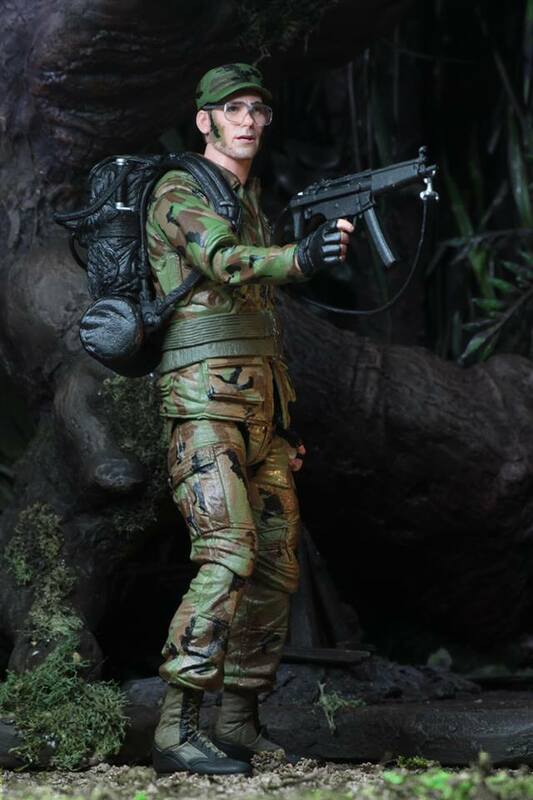 Lastly but most importantly, for Marvel fans. 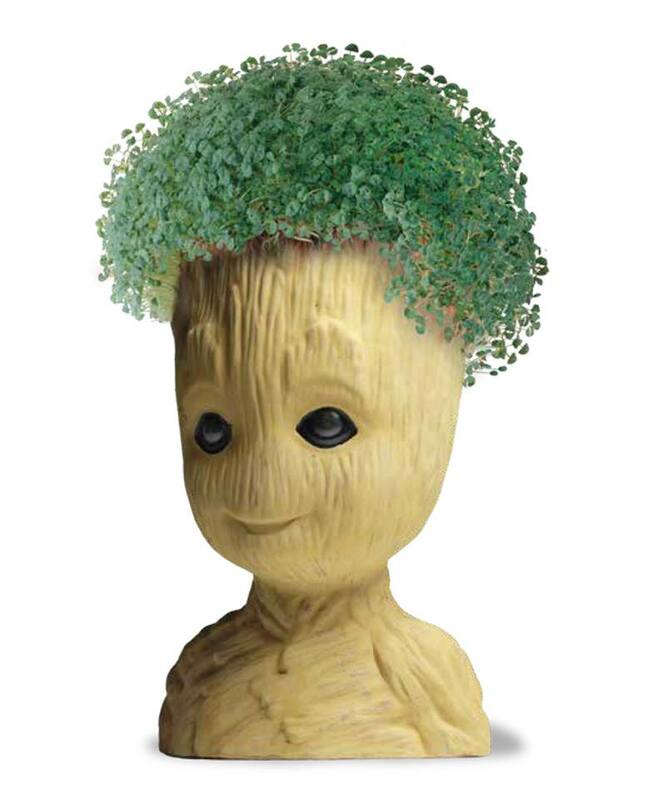 More specifically fans of Guardians of the Galaxy, Groot will come to SDCC in the form of a Chia Pet. That’s right, a Chi-chi-chi-chia pet from those iconic commercials. This set will include a special drip tray and seeds enough for a total of 3 plantings. 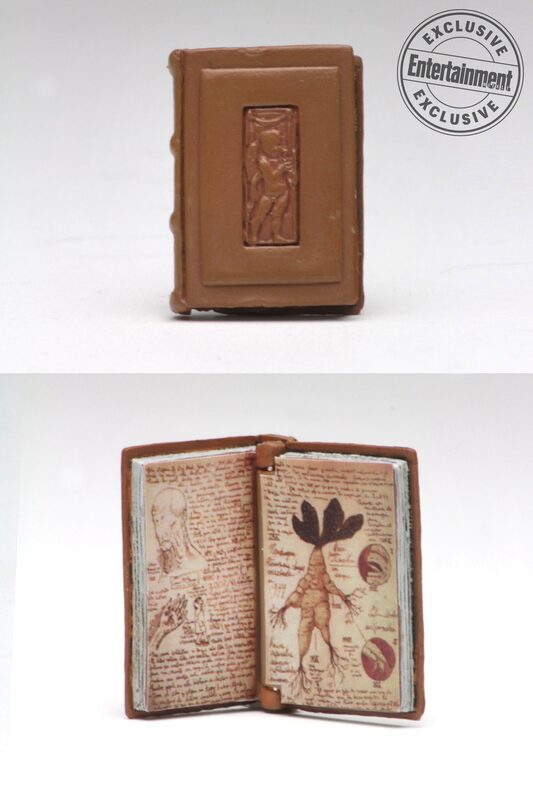 Chia Groot will be limited to 500 pieces and run for $30. 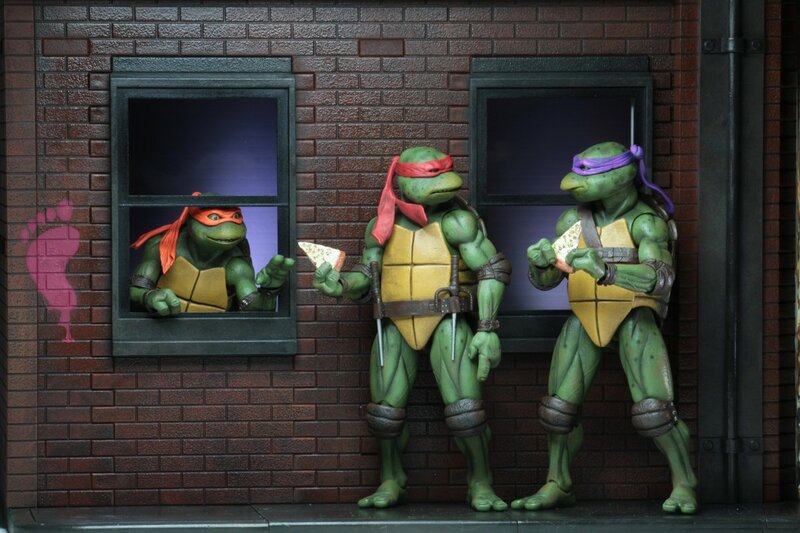 Are you looking forward to SDCC this year? 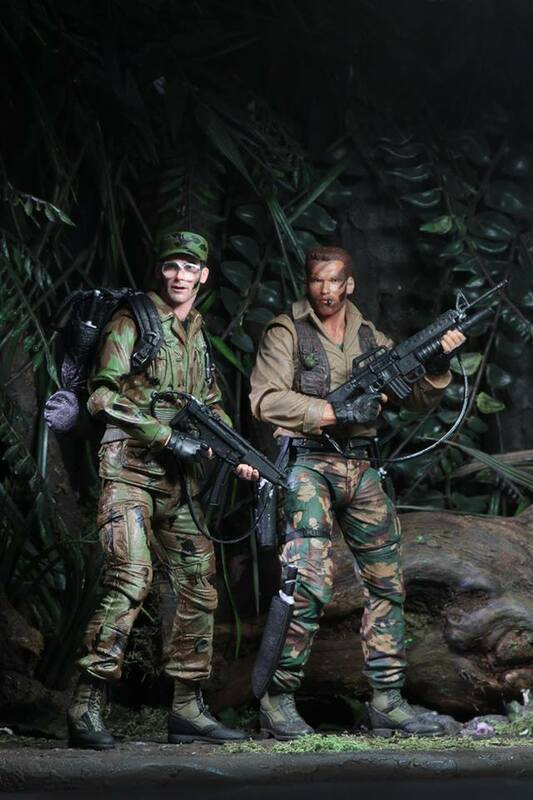 What do you think of NECA’s fantastic offerings? 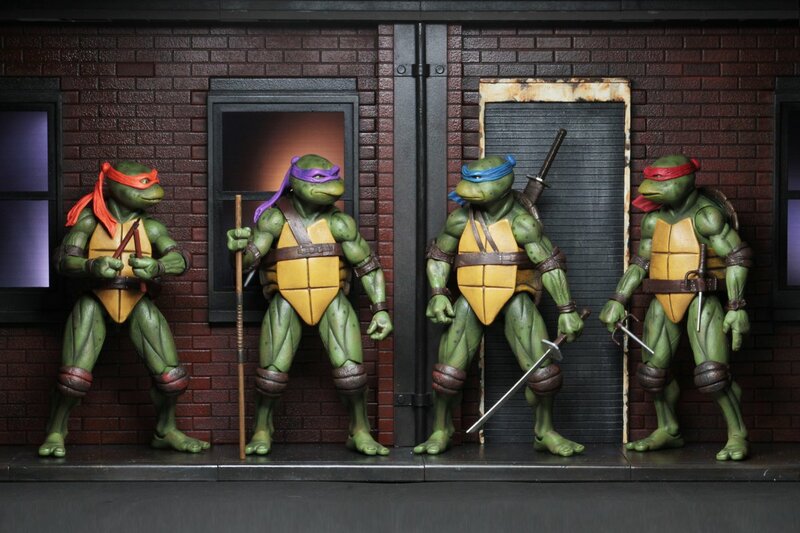 Traditionally NECA will release a very limited quantity of these exclusives online prior to SDCC to the general public. So if you don’t have a badge this year, your hopes are not shot at getting one of these goodies. Previous PostHasbro Confirms New Power Ranger Movies Coming Next PostIs VR coming back to Kraken at SeaWorld Orlando?